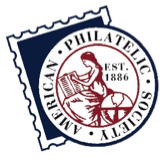 Tim Bartshe of Colorado will head the exhibits jury at Americover 2018, a World Series of Philately show that will be held Aug. 3-5 in Peachtree Corners, Ga., an Atlanta suburb. He will be joined by Bill Schultz of Pennsylvania, Douglas Clark of Massachusetts, Steve McGill of Colorado, and William Fort of Virginia. The prospectus is now available by clicking this link to download. The deadline for entering the Americover 2018 exhibition is June 1, 2018, or whenever the 160 available frames fill up. The emphasis at Americover is on First Day Cover exhibits, and about three-fourths of each exhibit should consist of FDCs and related material. All three types (Postal, Illustrated Mail and Display) of the General class of exhibits will be accepted, as well as One-Frame and Youth exhibits. Bartshe, pictured above, specializes in the stamps of South Africa, revenues of Ecuador and officials of Guatemala, but he also has a first day cover exhibit of the U.S. King Salmon issue of 1956 (Sc. 1079). Schultz has been exhibiting for more than 50 years. His specialties include illustrated mail and deltiology (postcards). Clark is a longtime officer of the Mobile Post Office Society. He also collects FDCs of the 1903 Hartford envelopes and the 1971 revalued issue. McGill’s collecting interests include modern Great Britain (the Machins), British Colonies, Scandinavia and small, isolated cold places. 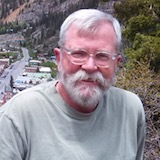 Fort is currently secretary of the American Air Mail Society and his primary collecting interest is airmail postal history, especially Pan American Airways and World War II trans-Pacific airmail.